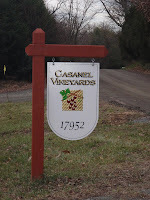 On an unseasonably warm day, we drove out past Leesburg to visit one of several new wineries in that area, Casanel Vineyards. Beforehand we learned from their website that the winery was started by Casey and Nelson DeSouza - hence “Casanel”. The couple had many successful years operating DeSouza Construction in the Washington D.C. area and eventually Nelson started exploring the countryside looking for land suitable for a vineyard. For after experiencing the Portuguese wine culture the couple decided to join the growing Virginia wine making community. He settled on a property on Catoctin Mountain that included a hundred plus year old stone dairy barn with an even older log cabin and a red wooden barn. But it was the dairy barn that he envisioned centering the winery operation around. The tasting room would be located in that building with the winery operations in the adjacent red barn. With help from family they restored the buildings and planted Chardonnay, Pinot Grigio, Norton, Cabernet Sauvignon, Carmenère and Petite Verdot vines. Since it would take several years before the vines bore fruit, they sourced grapes from several local vineyards. Kerem Baki from Hillsborough Vineyards agreed to join the venture as their winemaker and consultant and the first vintage consists of four varietals: Viognier, Norton, Merlot, and Cabernet Sauvignon. We arrived just before sunset to discover a Christmas-decorated stone building with a patio ready for visitors: chairs and an electric and wood heater. The tasting room is impressive. There is a long tasting bar to the left with a staircase to the basement and a couple tables in the center and right. The stones were cleaned, but there is residual dirt helping to hold the stones in place. Make sure you descend down the spiral staircase in order to view the unique triangular table and the solid oak beams supporting the structure. As for wines, we started with the Viognier which was aged 8 months in light French oak. This is a nice wine soft and slightly creamy, with a tropical fruit flavor. Anytime we find white wines such as this, they come home – and this Viognier was no exception. Next was their Norton, made in a unique dry rose style. The grapes were sourced from Chrysalis Vineyards, pressed whole clustered, then aged 10 months in light French oak. It’s darker than most rose wines – a characteristic of the grape – but with little of the acidity and grapey flavor also associated with the variety. This is a good wine, particularly considering it’s the premier effort. The final two were bolder red wines made from grapes purchased from Breaux Vineyards and aged 10 years in light French oak. The Merlot was our favorite of the two, extremely smooth with a strong cherry flavor. The Cabernet Sauvignon is also full bodied with a more spicy tail. It has more tannins so we would probably age this wine a little more in the bottle. All in all this was a great initial effort from Mr. Baki and the DeSouzas. We look forward to when their vineyards bear fruit and they start blending these varieties. Their “Chegada” brand translates into “Arrival” in Portuguese which can refer to the winery’s new start or the fact that we will be arriving often to hang out in their tasting room. Fresh off our research of American Rum Distillers, we decided to pay a visit to a local craft bourbon distiller, A. Smith Bowman Distillery. Yes, it is entirely accurate to question designating this distillery as a micro-distillery - but after several years of producing large scale export driven products, A. Smith Bowman is returning to its roots. That started over 70 years ago when Abram Smith Bowman and his sons, Smith and DeLong, began making bourbon at the family Sunset Hills Farm in Wiehle, Virginia. The distillery itself was situated in a building constructed in 1892, which served as the town hall for Wiehle, as well as a church. For the next 50years the distillery produced their trademark Virginia Gentleman® at this location. During that time the Bowman family sold most of their estate to Robert E. Simon, who used proceeds from selling Carnegie Hall to created the planned community of Reston. As the area became more urbanized from this development, in 1988 the distillery moved south to Fredericksburg, where it still operates today. In its infinite wisdom Fairfax County bulldozed several historic structures associated with the historic distillery and the original Bowman house and distillery are now threatened as developers seek to build homes and condominiums on the property. The county has little respect for history when money is involved. Meanwhile in Fredericksburg, the A. Smith Bowman Distillery was eventually purchased by the Sazerac Company, who also owns the Buffalo Trace Distillery and the Old Rip Van Winkle, Blanton's, Elmer T. Lee, and other well known brands. The Bowman brand had expanded to include vodka, rum, gin, and other products and the Bowman name became more associated with these spirits instead of the old Virginia Gentleman® brand. This brand had actually expanded to include the Virginia Gentleman® 90 Proof Small Batch Bourbon which was awarded a double gold medal and named Best American Whiskey at the 2003 San Francisco World Spirits Competition. This tradition of excellence continued at this year's competition as the 90 Proof Small Batch Bourbon also earned a double gold medal. The master distiller who crafts this award winning spirit, Joe Dangler, agreed to host a tour of their facility for me. Mr Dangler has worked for the A. Smith Bowman Distillery for over 30 years, starting in Reston and relocating to Fredericksburg with the distillery. He was originally hired as a line foreman and over the course of his career emerged as the distillery's master distiller. No formal education - just on the job training. At the Fredericksburg facility, bourbon is the only spirit created and the product line consists of three brands: Bowman Bourbon, Virginia Gentleman® and Virginia Gentleman® 90 Proof Small Batch Bourbon. 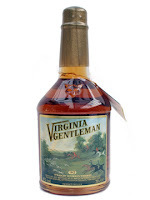 Each brand is made from the original Virginia Gentleman® recipe, the only difference is the dilution and length of aging. In order to benefit from economies of scale, the mash and first distillation occur at the parent's Buffalo Trace Distillery. The corn whiskey is then transported to Fredericksburg where it undergoes a second distillation in a copper still and chilled filtered. The bourbon is then aged in new casks in a warehouse palette system that was designed to use labor efficiently and allow for ample ventilation to control temperature. The Virginia Gentleman® 90 Proof Small Batch Bourbon is aged for six years whereas the other two brands are aged between 3 1/2 to 4 years. The warehouse smells amazing - think of the sweet corn aroma of bourbon. I asked Mr. Dangler if he ever gets tired of the smell and he informed me "no" and his nose has been trained to notice any off-odors. A semi-quality control mechanism. There's no tasting at the facility, but instead I was given access to view the the warehouse, distillation room, and bottling system. Besides the row after row of aging bourbon, the copper still was the most impressive piece - a fine piece of craftsmanship. The distillery also possesses antique scales used by the Feds to calculate taxes as well as several antique barrel making tools. Very soon the distillery hopes to showcase these items in a new visitor center. This center will also include displays on the history of the Bowman family, the distillery, and the city of Fredericksburg. We look forward to that development. In the meanwhile the Virginia Gentleman® 90 Proof Small Batch Bourbon has replaced Ancient Age and Wild Turkey 101 as our everyday bourbon. Retailing between $20-$25, this double gold winner is a bargain. It has a honey aroma that intensifies after adding a couple drops of water to the glass. At 90 proof there's an initial alcohol burn - but it quickly dissipates to a sweet nutmeg\vanilla tail. Yes, some days its worth to splurge on a Black Maple Hill or a Pappy Van Winkle - but for a steady, everyday brand - the Virginia Gentleman® 90 Proof Small Batch Bourbon is the king. 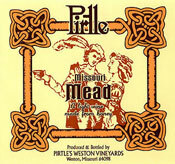 One of the first mead we tasted, and still one of our top favorites, is Pirtle Winery Missouri Mead. The wine is light, semi-sweet, with slight honey flavors. Nothing overpowering here. Just a simple nice mead. Need more convincing - the wine is the top seller out of Pirtle's tasting room. There are a few excellent books we recommend. WineWise is a new book written by Steven Kolpan, Brian H. Smith, and Michael A. Weiss, all CIA Professors in Wine Studies at The Culinary Institute of America (CIA) that we reviewed here. It is a great overview of grapes, wine styles, and wine regions. Next is an in depth look at the fatal dynamics that led to the collapse of the Mondavi empire in The House of Mondavi: The Rise and Fall of an American Wine Dynasty . Finally, we've been in a rum craze lately and enjoyed reading And a Bottle of Rum: A History of the New World in Ten Cocktails by Wayne Curtis. For accessories, we have found a few products to recommend. Want an opened bottle of wine to remain fresh longer. Take a look at VineyardFresh. Its works because "This special blend of a 100% pure and natural protective barrier is heavier than air and lighter than wine. It settles directly on the wine without penetration creating a natural protective barrier between the air and wine thereby preventing oxidation." Worried about taking wine home from a trip relying on air travel. For the serious wine consumer you can try Wine Cruzer, but for our budget we use BottleWise. The bag fits easily into a suitcase with no worries for clothing if for some reason the bottle breaks. The wine is contained in an airtight container. We also use the bag if we are touring wineries and run out of space in our cooler. Its a much better alternative then letting the wine sit in the hot sun. One of the best souvenirs we've purchased at a winery was the Foppiano Lionel Train courtesy of Foppiano Vineyards. This a replica of a refrigerated rail car the used to transport their grapes East during Prohibition. For the "Volstead Act allowed individuals to make 200 gallons of their own homemade wine". This helped to keep the winery in business during these dark years. Ours fits perfected within our son's Lionel set that we setup each Christmas. Post comments on your favorite souvenirs below. While driving from Somerset to Seven Springs Mountain Resort we've always passed Glades Pike Winery on Route 31, but have never stopped in. Until this past weekend. We won't pass the winery without stopping in again. 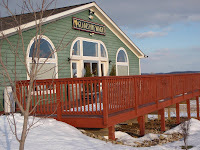 Glades Pike has been open for almost 15 years and makes unique wines that are very characteristic for Pennsylvania wineries. We started with the 2008 Norton made from grapes grown at famed Chrysalis Vineyards in Middleburg Virginia. The wine was one of the best young Norton wines we've tasted. It wasn't acidic or overly jammy - like many Nortons that haven't had a chance to age in the bottle. Instead it is very smooth with a cherry flavors and an honest chocolate finish. We also discovered an interesting note on Pennsylvania labeling laws while examining the bottle. Even though the grapes for this wine were sourced from Virginia, Glades Pike can label it Pennsylvania wine since more than 85% of the grapes came from within a 380 mile radius from the winery. Interesting. Since Glades Pike offers nearly twenty wines, we skipped the vinifera reds (Cabernet Franc and Cabernet Sauvignon) and chose instead two hybrid reds: the Baco Noir and DeChaunac. Might as well try something different. Both of these wines are very smooth with low tannins. We preferred the Baco Noir, with its fuller flavor and where the tasting notes were completely accurate. We tasted each fruit listed: the black cherry, raspberry and red currant. In order to satisfy the market, the winery produces a few semi-sweet and sweet red wines. The Glades Pike Red is a semi-sweet blend of the Baco Noir and Concord. The Concord contributes the strong grapey aroma whereas the Baco Noir provides the full bodied flavor. Probably without attempting, they've created a nice eastern European styled wine. For those with even a sweeter tooth there is a varietal Concord. And the best selling wine is a sweet blush - the Bicentennial Blush - made from Concord, Niagara, Cayuga and Vidal. Turning to whites, Glades Pike produces a dry Chardonnay and dry Seyval Blanc but we preferred their off dry Riesling and Vidal Blanc. Both have nice acidity that provides a refreshing finish. The Vidal is more citrus while the Riesling possesses the standard flavor associated with the grape. Another off-dry option is the Mountain Mead, made from local honey. We liked this style - not too sweet and can envision blending with Apple wine to produce our own cyser. The winery also produces a varietal wine from one of our favorite labrusca grapes - Diamond. Theirs is made sweet and contains a hint of the labrusca foxiness - but more citrus. There's another sweet labrusca - Niagara - which reminds us of the white grape juice our son guzzled years ago. 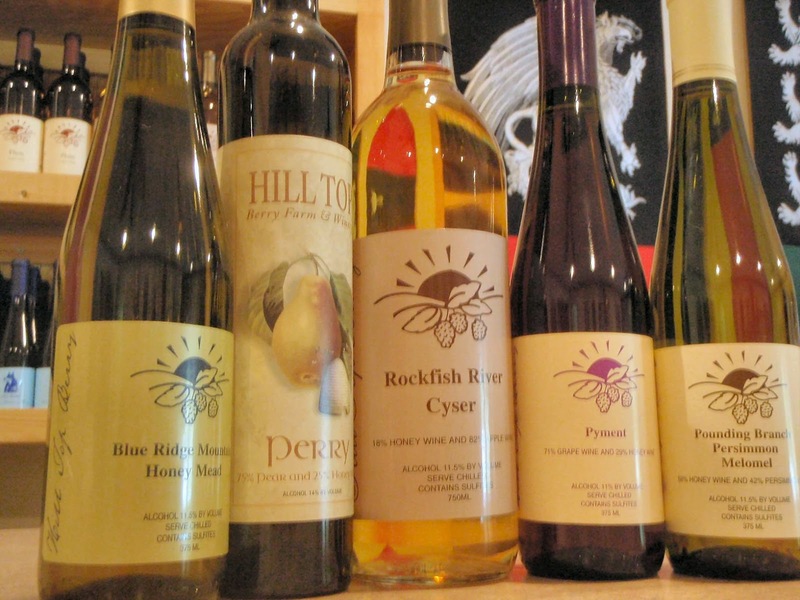 Finally, Glades Pike wouldn't be a Pennsylvania winery without an assortment of fruit wines. Spiced Apple seems to be a state favorite, but the Black & Blue is ours. Just Blackberries and Blueberries. On occasion the winery produces a Raspberry wine, but currentlythey offer a Montmorency Cherry - served with chocolate. For those traveling to ski from the West or who don't want to drive the 15 minutes from the resort, Glades Pike opened a tasting room a hundred yards from the Seven Springs entrance. This could be a perfect break from the slopes or when the kids are participating in Tiny Tots. We enjoyed the Norton, Baco Noir, and Vidal after skiing. With twenty wines to choose, we are sure there's something for everyone. While viewing the results of the 2008 International Rum Competition, sponsored by Polished Palate, I was quite surprised to notice that several American companies were awarded medals. I was under the misguided, but probably common belief, that rum wasn’t produced in North America. Upon further research I learned that in fact, there are over a dozen micro-distilleries in the United States crafting several styles of rum from sugar cane. The history of rum is closely aligned to the history of the Americas. See And a Bottle of Rum: A History of the New World in Ten Cocktails by Wayne Curtis. In brief, Christopher Columbus introduced sugar cane into the West Indies from cuttings he obtained from the Canary Islands. Sugar production became integrated with the slave trade and it was plantation slaves who first discovered that molasses - the bi-product of sugar cane refinery - could be fermented into alcohol. In some cases, rum is also produced from fermenting pressed sugar cane as is the case in most French speaking Caribbean islands. Eventually the actual production of rum moved to colonial New England, with its abundant supply of skilled artisans (metalworking and cooperage). The rum trade was so vital to the colonial economy that the introduction of the Sugar Act in 1764 was one factor that sparked the American Revolution. However, over the next century grain became cheaper than molasses and simultaneously consumer’s tastes drifted towards grain spirits and beer. In the 20th century, the consumption of rum received an unexpected boost from Prohibition. Consumers headed to Cuba in search of sun and alcohol and discovered Bacardi while at the same time rum runners competed with Canadian whiskeys to supply the underground economy. Today there is a renaissance in the rum market as the versatility of the spirit is displayed in multiple white, dark, spiced, and aged styles. Rum is no longer just an ingredient in daiquiris and mohitos. There are currently over a dozen American micro distillers producing rum from some form of sugar cane. And in most instances, these craft distillers use only local ingredients – including domestic molasses. The most logical place to start is Hawaii – where sugar cane flourishes as in the Caribbean. On Maui, Braddah Kimo operates Haleakala Distillers - the only licensed distillery operating on the island. Mr. Kimo is a skilled artisan. Not only is he the master distiller, but he also built the entire distilling facility himself. His rum is made using fermented Hawaiian molasses diluted with Maui rainwater, double distilled, and then aged in used Bourbon casks. Haleakala Distillers offers several styles and the Braddah Kimo's Extreme 155 Rum and Maui Dark Rum were awarded silver medals at the 2008 International Rum Competition. Elsewhere in the United States, Louisiana is the most likely source of molasses. New Orlean’s Celebration Distillation won several awards at the 2008 International Rum Competition, a gold for their Old New Orleans Crystal Rum, a silver for their Old New Orleans Amber Rum, and a bronze for their Old New Orleans 10 Year Old Rum. As expected the company uses Louisiana grown molasses and then ages the rum in used bourbon casks. Celebration Distillation also uses a custom made distilling system that is a combination of a pot still and column still. The first legal post-Prohibition distillery to open in Tennessee is best known - not for sour mash whiskey - but for their rum. Prichards' Distillery makes several styles of rum, but the best selling is the Prichards’ Fine Rum. This spirit is made from Louisiana molasses distilled in a copper pot still and then aged in new charred white oak barrels. Their white Crystal Rum is made from the same molasses distilled five times in the copper pot stills. A couple other distilleries that use Louisiana molasses are Triple Eight Distillery (Nantucket) and Tuthilltown Spirits (New York). Another New England rum maker, Newport Distilling Company (Rhode Island), found a different source: Westway Feed in Chicago. Each of these companies age the rum in American oak to create three separate brands: Hurricane Rum, Hudson River Rum, and Thomas Tew Rum. Both Graham Barnes Distilling and Railean Distillers proudly state that they use only Texas ingredients in their rum. Graham Barnes uses molasses made from Rio Grande Valley sugarcane and a proprietary process that removes several insoluble particles before fermenting. After fermentation, the liquid is distilled using reflux column stills, then blended with filtered Hill Country water, and then double filtered through activated carbon. The finished product is their Treaty Oak Platinum Rum. Railean Distillers is located near Galveston Bay in San Leon – once home to Jean Lafitte and an assortment of other pirates, sailors, and fishermen. The Railean family distills the Texas cane molasses using a Bavarian Holstein copper pot still that the distillery believes creates an” ultra-pure cane spirit”. The Railean White Rum is bottled after diluting with water whereas the Railean Reserve XO is aged in new charred American Oak casks. No used bourbon barrels here. These rums were also entered into the 2008 International Rum Competition and received a silver and bronze respectively. In the Pacific Northwest, rum is created from an unorthodox source: brown cane sugar. Bardenay Distillery in Boise, Idaho prefers the brown cane sugar since there is more molasses in brown sugar than in processed white sugar. This means that the sugar has a higher mineral composition – basically more nutrients for the yeast to feast on. An added benefit is that the rum is distilled directly inside their restaurant providing a sweet aroma for their patrons. Rogue Distillery and Public House in Portland Oregon follows a similar approach - distilling fermented brown cane sugar. There are several other rum distillers producing small batch rum not mentioned in more detail. Like those listed above, these craft distillers deserve a look from any interested party. There’s Dogfish Head Craft Brewery (Delaware), Forks of Cheat Winery (West Virginia), New Holland Brewing Company (Michigan), Penobscot Bay Distillery & Brewery (Maine), Charbay Winery & Distillery (California), and Temptryst (Texas). In fact, Temptryst was the most highly awarded distillery at the 2008 International Rum Competition. It will be interesting to view the next few year's results to see if American rum distillers can continue to compete with the traditional sources in the Caribbean and Americas. Or was this just a one-time chance occurrence? Over the last couple of weeks it seems that every wine retailer and blog has given their Thanksgiving wine advice. So instead, we are going to impart our beer suggestion for the holiday - particular since the Pilgrims mostly likely consumed it during their feast. When the 100+ passengers departed, their cargo included barrels and barrels of precious beer. During these voyages, water spoiled quickly, so each passenger - men, women, and children - received a ration of beer each day. Not only did the beer remain bacterial free, but it was also a major source of carbohydrates. The responsibility of maintaining the integrity of the barrels fell to John Alden, a cooper and carpenter, who the pilgrims hired to repair the Mayflower in Southampton before their voyage west. After their 60 days at sea, the Pilgrims landed at Plymouth partially because their supply of beer was dangerously low. Another reason was the site included a brook containing "sweet" and clean water. Legend says that Alden was actually the first passenger to set foot in the new land. History also says that Alden was a signer of the Mayflower Compact, an assistant to the governor, and with Priscilla Mullins, the third couple married in the Plymouth colony. Alden was also a survivor. When he passed away in 1687, he was the last male survivor of the signers of the Mayflower Compact and with the exception of Mary Allerton, was the last survivor of the Mayflower's original passengers. Three hundred and thirty years after his death, the Mayflower Brewing Company began operating in Plymouth using the same source of water that the Pilgrims found "sweet" and clean. In fact, the founder of this craft brewery, Drew Brosseau, claims that the soft water is ideal for brewing "lighter-colored and milder beers". Oh yea, before I forget, Drew Brosseau is also the tenth great grandson of John Alden. He started home brewing beer years ago and after retiring, parleyed this experience into creating the brewery. Based on this heritage, locating in Plymouth was an obvious choice as was brewing English styled ales: a Pale Ale, a Golden Ale, an IPA, and a Porter. The Mayflower Golden Ale is probably the most widely appealing style, but the most appropriate beer would be the Mayflower IPA. This brew mostly likely resembles the actual beer drank on the Mayflower since brewers added extra hops to keep beer fresh for the long ocean voyages. It would be interesting if the same folks who decipher the recipes for the Dogfish Head Craft Brewery ancient beers could do the same for the Pilgrim's beer. In the meantime the Mayflower IPA is a close alternative. And after dinner, we recommend their Porter - particularly if temperatures remain near 30 degrees. A year or so after country singer Miranda Lambert launched her music career with her debut album - Kerosene - the Lambert family started exploring creating a private wine label on her behalf. 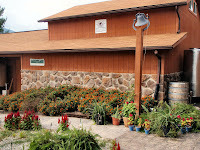 They eventually selected LouViney Winery, a small family owned winery in Winnsboro Texas to produce the wines. According to Susann Briggs, the Lambert's visited their winery, enjoyed the taste of the wines, and was impressed with the "family oriented values upon which we built our winery". The next step required formulated the wine styles that the Lamberts were seeking. Fortunately LouViney could use existing blends to satisfy their requests, all except for one. It appears Miranda enjoys a crisp Pinot Grigio styled wine and LouViney had to create a new wine to match this style. The result was "Kerosene" - sound familiar - and is made from the Blanc Du Bois grape. Never heard of this hybrid; see the WineCompass Wine 101 section for a summary. The wine labels and tasting notes are listed below. Anyone interested in purchasing these wines can do so through the Miranda Lambert store or take a trip to Winnsboro and buy directly from LouViney Winery. In naming our wines, we wanted to select those that would reflect the spirit of the wine as well as the attributes of Miranda. Southern Belle came to mind. In defining the word Belle we found it to be the perfect fit for this sweet wine as well as for Miranda. Simply put, it means the most beautiful. With her true southern spirit, she epitomizes southern hospitality and beauty while being a just a little bit flirty. As you might sense in looking at the beautiful label, in like manner, this light-bodied sweet, red wine is a mouthful of ripe cherry and raspberry flavors that tingle the palate. The finish is silky smooth and leaves you wanting more. It pairs well with chicken, red meats, mildly seasoned pastas and Miranda’s favorite - wild game dishes. Serve chilled. Our most robust spirit is full of fruity flavor and powerful color, yet is smooth in texture and delivery. With its ripe berry essence, the aroma lingers as long as its explosive finish. This dry velvety Merlot is endowed with just the right balance of power and finesse that make it an excellent companion to steak and pastas with full-bodied red sauce or, for special treat, try it with dark chocolate. Simply decadent! An alluring radiant wine bears overtones of ripe pears, honey, and golden raisins. Lusciously aromatic it is perfect for those who prefer the sweeter things in life. It is so deliciously perfumed, it has been teased as dessert in a bottle! Just like a Crazy-Ex, you’ll be seduced over and over by this charmer. So mild it can be served with fruit, light cheeses, sorbets and other light desserts, it is also delightful with Sunday brunch on the patio, fruit-glazed chicken dishes and spicy Asian cuisines. A semi-sweet wine similar to White Zinfandel, this brilliant pink light-bodied wine has a delicious berry taste and aroma. And just like Miranda’s famous electric pink guitar, it often produces a sudden sense of thrilling excitement! Our blush is a vivid, sweet, great choice for sipping on the front porch on warm summer days. It goes well with spicy foods such as Thai, as well as cheese and other light appetizers. Serve chilled. This dry, straw-colored wine is light, yet pleasingly tart with softening hints of pear and ripe apple. It is similar to Pinot Grigio. The finish is clean and crisp. It marries well with pastas in cream sauce, fish, grilled chicken, garlic-based dishes and spicy foods. It is also a good wine to compliment light appetizers or a first course. Actually this versatile white delight can pair with most any dish or be enjoyed by itself in the shade of your favorite tree. Serve chilled. Wineries have found Cabernet Sauvignon and Merlot blends are star performers, and perhaps that’s why our friends and family selected this wine as the front-runner in our inaugural tasting. Named after Miranda’s prized first pickup, a candy apple red 1955 Chevy step-side, this beautiful cherry-colored wine is smooth and medium bodied with a mellow berry aroma. This slightly juicy blend dodges over-oaking. Just like Miranda’s vintage ‘55, our Red 55 is sure to be a classic. Pair this best-all-around wine with almost any kind of food, from fancy fare dinners to picnics and BBQs. We have been receiving reports lately about the Grand Opening of Black Ankle Vineyards, but really took interest when we learned that the winery was awarded the Maryland Governor's Cup in their first vintage. The winery was founded by Ed Boyce and Sarah O'Herron, who decided to craft their own wine after years of being consumers. They research grapes, the wine-making process, terrior, and discovered a farm in central Maryland that met their criteria. The duo decided on several traditional grapes - but also planted a few unique grapes - primarily the Spanish grape Albarino, the Austrian favorite Gruner Veltliner, and the ancient Muscat. The other estate white wines are made from Viognier and Chardonnay, whereas the reds consist of Syrah, Pinot Noir, and all five Bordeaux red grapes: Cabernet Sauvignon, Cabernet Franc, Merlot, Petit Verdot, and Malbec. It was a blend of these five grapes that won the 2008 Governor's Cup, their 2006 Crumbling Rock. 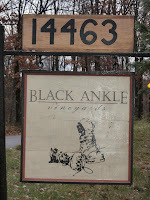 Black Ankle Vineyards is located just outside of Mt. Airy and is situated near several other wineries. However, Black Ankle differs from these wineries in that they produce only dry wines - if you care for sweet wines - then visit the other wineries afterward. The tasting room is a large stucco building with enough comforts to encourage a long stay - particularly the fireplace and indented table. And the wines were terrific. Ms. O'Herron explained that they attempt to make wine in the style they enjoy - dry, but with flavor and structure. Their Viognier and Gruner Veltliner were good examples of this approach. They both were earthy with honey flavors and a slight nutty finish. Odd for wines aged in stainless steel. The Viognier was much different than the traditional Virginia versions - more old world than new world. The Albarino was also excellent - much more citrus than the other whites. The final white wine we tasted was the 2006 Bedlam - a blend of all their white grapes. It is a refreshing acidic wine with good lineage: the 2007 version was awarded the 2008 Maryland Winemaster's Choice Award. The red wines were just as intriguing. We started with the 2006 Passeggiato - made from 100 percent Syrah. It is unique in that it is made with a light body - but full of raspberry flavors. The more traditional Syrah spiciness is evident in their 2006 Syrah, which includes 10% Pinot Noir. Even with the spicy finish, it is a smooth wine - we noticed cherry flavors and some vanilla. The first Bordeaux styled blend was the 2006 Cosecha - made from all five of the Bordeaux grapes. It is medium bodied and very drinkable now - in fact - it was our choice for dinner that evening. It is earthy and smooth - with some cherry and raspberry flavors. Finally we tried the 2006 Crumbling Rock - and yes, we can see why it was awarded the cup. Interestingly it has a higher percentage of Cabernet Franc than the Cosecha and contains no Malbec. It is made full bodied - earthy, with enough tannins that Ms. O'Herron suggests will age very nicely. The wine also differs from the Cosecha in that the flavor is more evident of black fruits and not red fruits. This is a nice wine - that proves that vinifera grapes can make excellent wines in the mid-Atlantic. And that was it. No semi dry wines nor dessert wines. Just an excellent addition to the Maryland wine community. The Virginia Wine Lover Magazine published our article on Virginia Meaderies in their November newsletter. We also received our copy of the Winter issue of the quarterly magazine. There are nice articles on the Shenandoah Valley and Corks - plus a dinner with Thomas Jefferson. For our semi-weekly Norton tasting we opened a bottle of 2001 Norton from Augusta Winery. The winery was established twenty years ago by Tony Kooyumjian and is noted for their Norton and Vignoles. Their appellation is significant since Augusta Missouri is located within the first U.S. Wine District, or Viticulture Area #1. The 2001 Norton has aged well in the bottle. It is full bodied with a black cherry nose and cherry-tobacco flavor. The finish is long and spicy - but remarkably smooth. There is no evidence of the standard grapey flavor or acidity associated with newer Nortons. One of our party's immediate reaction was "this is the best Norton I've ever tasted". Apparently the latest release has continued this tradition of excellence. It has one Gold medals at the Florida State Fair International, Pacific Rim International, and the Missouri Wine Competition. Congratulations to Augusta Winery. One of our favorite breweries is Delaware's Dogfish Head Craft Brewery. Sam Calagione and brewmaster Andy Tveekrem craft truly historic beers - that is - along with their standard line of excellent I.P.A., Pale Ales, and Pilsners the winery produces several beers replicated from ancient recipes. This past Saturday, at the Falls Church, Virginia Dogfish Head Alehouse, we listened to rockin' blues from Bad Influence Band and sipped several sifters of their Midas Touch Golden Elixir. The "actual oldest-known fermented beverage in the world!" In the 1957 an archaeological expedition uncovered the possible burial chamber of King Midus in central Turkey. Inside the chamber were over 150 drinking vessels that contained chemical residues of barley, grapes, honey and saffron. Using these ingredients as a base, Dogfish Head re-created the ancient recipe blending one of the oldest grape varieties, Muscat, with barley, honey and saffron. The "Phrygian cocktail" is awesome and powerful (9.0% abv), which explains the sifter. It tastes more like a brandy - with the floral aroma and flavors of the Muscat up front. At the same time that "Phrygian cocktail" was being fermented in the Middle East 9,000 years ago, the early Chinese were fermenting a concoction of rice, honey and fruit. Molecular Archeologist Dr. Patrick McGovern of the University of Pennsylvania, who analyzed the King Midus drinking vessels, found similar residue in the preserved Chinese pottery jars. He passed this information along to Dogfish Head, resulting in Chateau Jiahu. In trying to remain historically accurate the brewery uses pre-gelatinized rice flakes, Wildflower honey, Muscat grapes, barley malt, hawthorn fruit, and Chrysanthemum flowers. The rice and barley malt are fermented together with the remaining ingredients added to the wort. The result is a refreshing beer - or at least that's what we remember from the Washington D.C. Wine Festival. Another historic brew is their Theobroma ("Food of the Dods"), based upon residue from pottery fragments found in Honduras. The chemical analysis discovered an alcoholic chocolate drink used over three thousand years ago - probably in special ceremonies. Dogfish Head version contains Aztec cocoa powder and cocoa nibs, honey, chilies, and annatto - a fragrant tree seed. Finally we have to note some of our other favorite beers from Dogfish Head - particularly their Raison D'Etre, Palo Santo Marron, and Olde School Barleywine. The Raison D'Etre is brewed with beet sugar, green raisins, and Belgian-style yeast - producing a great slightly sweet malty ale. The Palo Santo Marron is an unfiltered brown ale aged in handmade wooden tanks. The Paraguayan Palo Santo wood add caramel and vanilla flavors to the beer. The Olde School Barleywine is malty and hoppy with an interesting flavor due to fermenting with dates and figs. Another sifter for this beer. The best place to enjoy these beers are at the brewery itself, either the Rehoboth Beach Brewpub or the Alehouses in Falls Church, Virginia and Gaithersburg, Maryland. Each venue hosts free Saturday night music, with the Rehoboth Beach location landing some national\regional acts and the Alehouses providing a setting for local artists. In November the Rehoboth lineup consists of Nothin But Trouble, Dexter Romweber Duo, Brian McGee and the Hollow Speed,Leaving Texas, Whiskey Rebellion, and Nate Myers & The Aces. At the Alehouses look for Marshall Artz, Evan Bliss & the Welchers, Cletus Kennelly, and One Eyed Pug. 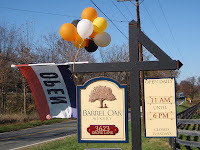 After many months of delay, we finally visited Barrel Oak Winery, another new winery in Fauquier County. 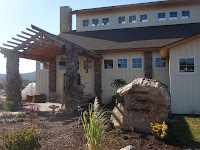 Sharon and Brian Roeder officially launched the winery in May 2008 and we have been lax in visiting - even after several friends and fellow bloggers had favorable impressions after their visits. 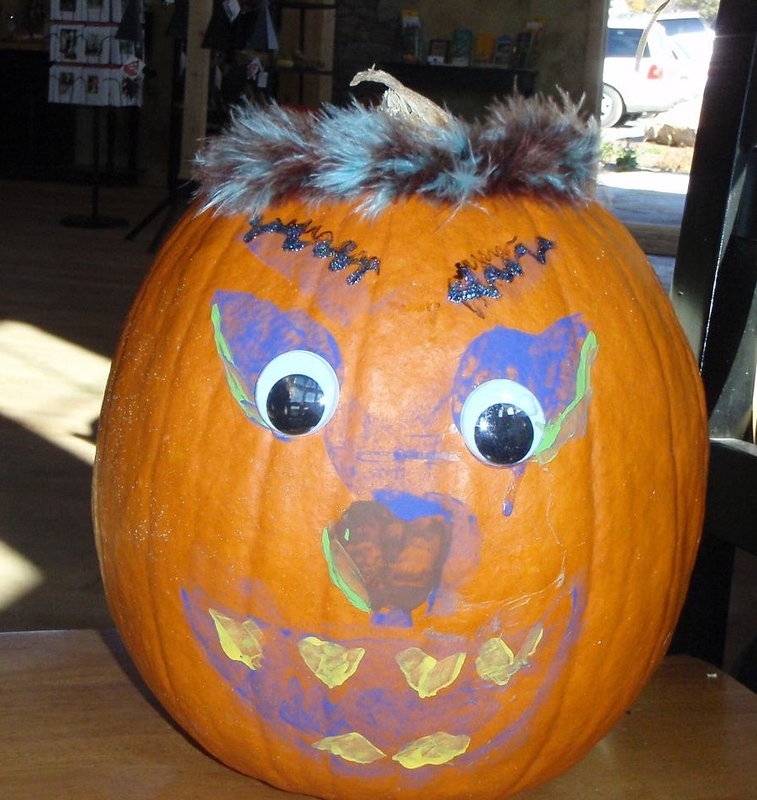 This weekend the winery was hosting a Pumpkin Decorating for the Kids! so we drove out Route 66 for a visit. Several other families had already beaten us to the winery, and this was apparently a slow day. There were also several four legged friends as BOW encourages visitors to bring their leashed pets. Not only are dogs allowed on the patio - they are also welcome inside the tasting room. Our dogs like that idea. Barrel Oak is located on a hill overlooking Little Cobbler Mountain and the John Marshall Oak Hill estate. The two year old estate vines roll along one side of the property and soon BOW will have a local source of Traminette, Seyval Blanc, Merlot, Chambourcin, Vidal Blanc, Petit Verdot and Petit Manseng. In the meanwhile, the winery sources grapes from several well established vineyards including Keswick Vineyards. The production facilities are built into a hill and the winery is heated and cooled by a geothermal system. When we arrived, the children quickly found the pumpkin painting area and we were escorted to the tasting bar. The winery opened on a grand scale - producing over a dozen styles of wine. That's a large selection for any winery - not to mention one in its infancy. We started with the BowHaus White, a semi-dry blend of Sauvignon Blanc and Vidal Blanc. It has a citrus flavor and balanced acidity - and it was selected as our picnic choice for the day. The Seyval Blanc and Chardonnay Reserve were next with the later being a favorite. It is made in the traditional European style - sur lees - and fermented in stainles steel and aged in neutral French oak. The final white was their Viognier and this was the most interested version of this varietal we had tasted. It is made dry - but contains some sweetness. The citrus flavor makes way for a silky finish produced by aging in Hungarian oak. This is a nice wine. It's no surprise that the Late Harvest Viognier was also a good dessert styled wine. Turning to reds, we started with the Bowhaus Red a table wine blend of Cabernet Franc, Merlot, Petite Verdot, Malbec, and Touriga; Bordeaux and Portugal in a bottle. For a young wine, this is remarkably smooth with great flavor and little acidity. This was our second choice for the afternoon's picnic. The next wine was the Tour Ga Franc, a blend of Cabernet Franc and Touriga, and possibly the first time we had tasted this combination. It is also smooth with a little more spiciness than the Bowhaus Red. Plus, $2 from every bottle is donated to the Lance Armstrong Foundation. They followed with several Bordeaux styled wines, a Cabernet Sauvignon, Merlot, Cabernet Franc, and Petit Verdot. The last was our favorite and perhaps our overall favorite; it is dry, full bodied with cherry and some chocolate flavors. This is a big wine. The other Bordeaux styled wines were not bad either - the Cabernet Sauvignon had a unique nutty finish whereas the Merlot and Cabernet Franc both had full cherry flavors with a slight spiciness to the Cab Franc. Besides being only an hour outside of Washington, D.C., Barrel Oak Winery offers several incentives to visit. They host various events each month ranging from Friday night movies, Saturday night music, barrel tasting, book signing, plus more.... Even after the events, visitors must have an incentive to return which usually has a direct correlation to the quality of the wine. We really liked the wines, both the whites and reds - and the wine is competitively priced to other wineries in the area. So count us as future returnees. More pictures are available at Compass Tours at Wine-Compass.com. We recently received a copy of WineWise a new book written by Steven Kolpan, Brian H. Smith, and Michael A. Weiss, all CIA Professors in Wine Studies at The Culinary Institute of America (CIA). It is the size of a standard coffee table book - but without the standard fluff usually associated with these publications. Instead, WineWise contains volumes of facts in an easy to read format. It starts by explaining why some wines cost more than others - siting geography, grapes, wine making methods, and of course, what the market will bear. The introduction also describes brands versus "terrior" and introduces appellations. One fact we never recognized was that different regions in Europe use different bottle styles. For instance bottles from Burgundy, Rhone, and Bordeaux will all be shaped differently - giving the consumer an easy target for selecting from that appellation. The next two chapters discuss actual wine grapes and we were happy to see Riesling and Gewurztraminer profiled in the Major White Grapes section and Zinfandel and Grenache profiles in the Major Red Grapes section. In addition the writers include small notes on wine production in several American states, outside of the big three. The guts of the book, and what differentiates it from other wine books, is their complex insight into global wine regions. Starting with California, the writers discuss several major wine appellations (Napa, Sonoma, Mendocino, etc) their AVA system and any sub-appellations, their climate, the major wine grapes, how to read a wine label from that region, and the major wine producers. This process is repeated for Oregon, Washington, New York, Canada, South America, Oceania, South Africa, France, Italy, Spain, Portugal, Germany, Austria, and even Greece. This is a wealth of information. From our recent trip to the New York Food and Wine Festival and a recent wine tasting at Finewine.com, we have become more interested in wine from Sicily. Turning to chapter nine, the book provides a map of southern Italy showing the grape growing areas, plus states the major DOCG and DOC wine regions, grapes, and major producers. From this chapter we were also able to talk about the Falanghina grape and its Greek origin at the Finewine.com tasting. Thanks for the insight. The section on Piedmont wines was also a favorite. The other chapters are just as insightful. Ever wondered where grapes are grown in Chile or Argentina? South Africa? Portugal? The information is all there. We can't wait to finish the chapter on Greece and wish we had the book before our trip to Sonoma and Napa. Is there anything we didn't like, you ask? Yes, its size. This is a heavy book and not easy to carry to a wine store to help read the labels. Maybe it does fit on a coffee table, but keep it within reach - it is a valuable resource. At Sunday’s Grand Tasting at the New York City Food & Wine Festival we returned to wines – and in particular those that we hadn’t tasted previously. For there was a large sample of California wines that we are well familiar and enjoy often: La Crema, Murphy-Goode Winery, Chalk Hill Winery, Carmel Road Winery, and Concannon Vineyard. Two California wineries that were present and who we hadn’t tasted before were Wente Vineyards Estate Winery and Zaca Mesa Winery. Wente Vineyards was founded over 125 years ago and is currently the United State’s oldest, continuously operated family-owned winery. That’s five generations of family winemakers. What makes this winery also appealing to us is their integration into the musical environment. Not only do they host several excellent concerts throughout the summer (proceeds are contributed to the Livermore Valley Education Foundation), but 5th generation winemaker Karl Wente is a musician himself and recommends music for download. As for their wines, we tasted their Merlot and Cabernet (both were very good), but particularly liked their Riesling and Sauvignon Blanc. The wines were acidic and refreshing with excellent fruit flavor – just the type of white wines we enjoy. Zaca Mesa Winery also poured and excellent white wine: their 2007 Viognier, Estate Bottled Santa Ynez Valley. This wine was just as good as the excellent Viognier produced in Virginia – at half the cost. It has a little acidity but more texture and some vanilla flavors. This weekend we discovered Prosecco; this Italian grape is very popular in its homeland and is starting to make a presence in the states. Our friends at Danny DeVito's Premium Limoncello recommended blending their Limoncello with Prosecco and fortunately the grand tasting had a few samples. There was the Lunetta Prosecco, the the Nino Franco Prosecco “Rustico” distributed by Vin di Vino, and a couple from Mionetto. The Lunetta is a nice sparkling wine with some peach flavor as is the Nino Franco Prosecco “Rustico” but the best was the Mionetto Prosecco Brut. I believe this wine retails for under $15 and is a bargain. It has a soft lemon flavor but is rich and the tail is somewhat nutty. Vin di Vino also poured several other interesting wines. The Casa Silva Carmenere Reserva was a good wine in which good wines from this grape are difficult to find. The Loimer Gruner Veltliner LOIS was a really good white wine – citrusy and acidic. 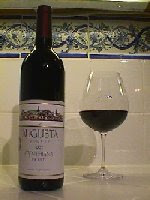 Finally the Cusuman Benuara was the first of several nice Sicilian wines that we tasted. It is a blend of Syrah and the indigenous Nero d’Avola, very smooth with a slight peppery finish. This wine also tied in nicely to two we sampled from Corvo winery in Sicily. The Corvo also consists of Nero d’Avola and is a medium bodied wine marketed to pasta and pizza lovers. We liked it straight – the cherry flavors and smooth finish. Corvo also produces an excellent white in the Corvo Bianco, made from the Insolia and Grecanico grapes. This is another food friendly wine – slightly acidic – but fruity. Plus they cost around $10. Touchstone Wines introduced us to a few low priced wines, starting with the animus – a Portuguese wine from the Douro River Valley. It is a dry wine, medium bodied, and very smooth. From Germany they were pouring the Erben Riesling and the Erben Pinot Noir. This was our first German Pinot and it wasn’t bad. The Riesling matched our tastes exactly – it was made dry, but full of the typical Riesling fruit flavor. We also liked the Leonard Kreusch Rieslings and their Piesporter – also affordable at around $10. There were also several nice French wines, starting with the Lansen Champagne. The black label brut was awesome – and apparently they also produce a nice rose. Chateauu D’Esclans was pouring several still rose wines made from their winery in Provence. Their entire portfolio was excellent but our overall favorite was the Garrus – made from 80 year old Grenache vines and Rolle. There were several excellent Bordeaux wines offered by Bernard Magrez Grand Vignobles. There was the Chateau Saint Genes – a complete Bordeaux blend, the Saint Emilion Grand Cru from Le Cadran du Chateau Fombrauge and the Les Douves du Chateau la Tour Carnet from Haut Medoc. In addition, the company was pouring an awesome Spanish wine, the Paciencia – 100% Tinto de Toro. This is a full bodied earthy wine. The final French wine that stood out was the Chateau D’Aussieres from Les Domaines Barons de Rothschild. It is a Rhone blend of Syrah, Grenache, and Mourvedre – full bodied with a strong cherry flavor and a smooth finish. We wish we could have tried more, but with a flight home waiting, we had to cut our tasting short. The New York City Food & Wine Festival was a great event, next year we will try to attend more of the smaller events. But until then, there’s always South Beach. This past weekend we attend two days of the New York City Food & Wine Festival, a northern replica of the popular Food Network South Beach Food & Wine Festival. This festival ran from October 9th through 12th – four days of wine, spirits, and food demonstrations. Most of the events occurred in the modernized Meatpacking neighborhood in Chelsea – a district of outdoor cafes – resembling European urban areas. There were food parties, regional wine tasting, seminars, champagne parties, and the ShopRite grand tasting. As usual for a Food Network event, several of their personalities were present, and on the 11th we stumbled upon our personal favorite Alton Brown - partnered with Rachel Ray – imparting food advice throughout the day at the Comix Kidz Korner series. As the pictures attest, kids and parents lined up early to see one of the four sold out shows. In a neighboring park we also visited a local farmer’s market sponsored by Greenmarket, where the fresh produce was shipped from Geneva – in the Finger Lakes. We sampled several of their inexpensive juices and were glad to see that they also carried Anthony Road wines. Today they were also giving food demonstrations – and advertising a charity dinner at the end of the month: The Taste of Greenmarket n the October 29th. In route to the grand tasting we also passed the Food Bloggers station – a nice courtesy to the online community. The ShopRite Grand Tasting is a collection of food created from the city’s best chefs and wines and spirits distributed by Southern Wine & Spirits of New York. Maybe it was the sight of the Wines of Puerto Rico when we entered the Pier or the Maker Mark’s station at the entrance of the tent; but we decided to stick to spirits for the entire day. And what a spectacular array of spirits. It started with an excellent Serrallés Don Q Grand Anejo rum paired with steamed yucca on plantain leaves prepared by Hilton Caribe San Juan Lemongrass chef Mario Pagán. Accompanied by bartenders dancing to Latin music – we had a second sifter and a cocktail. The party had started. The bartenders at Maker’s Mark were creating several cocktails from traditional Maker’s mark bourbon, the new r(i)1 rye whiskey, rum, and tequila. The Highland Nector was very popular – for me – the Bourbon County Crisp. Later in the day we had a chance to sample the r(i)1, which is being targeted by Beam Global Spirits and Wines to younger consumers. It’s a good product – slightly sweet and spicy – that we’d be happy sipping neat – but it was really good in the NYC r(i)1 Sour. We soon had a chance to taste our favorite vodka of the day – and there were several good products from Russia and Sweden. But the Norwegian Christiania vodka was what they advertised: “The World’s Smoothest Vodka” – at least today in New York. The vodka is made from organic Trondelag potatoes and Norwegian water vodka and the mixture is distilled six times before being charcoal filtered. All based on a 400 year old secret recipe originating in the court of Christian IV. Monarchs had the best life. Why did we like it? It is slightly sweet – and incredibly smooth: no burn at the finish. This is vodka worthy of a sifter. The same is true for the Whitley Neill Gin. Normally not fans of gin, this version is very appealing. It is a made with nine botanicals – including fruit from the Baobab tree (“The Tree of Life”) and Cape gooseberries. Johnny Neill has combined his family’s love for Africa with London Dry Gin to create a gin we can enjoy – more citrus than juniper. In fact the Baobab fruit has 6 times the vitamin C than an orange. Close by, we found several of our favorite spirits from South Beach: Diplomatico Reserva Exclusiva 12 year old, Vizcaya VXOP Cask 21, and Moleca Cachaça. The first is Venezuelan rum distilled in copper pot stills, then aged 12 years in oak. It is sweet with nutty and vanilla flavors – and smoooooth. The Vizcaya VXOP Cask 21 is also smooth – but really different from the Diplomatico. First, it is made from distilled pressed sugar cane – not molasses – which gives it a lighter flavor – or should I say - less nutty. It has some vanilla – but more of a honey flavor – with some butterscotch. Another great rum. Finally, the Moleca Cachaça brought back memories of mohitos and caipirinha. Both Silver and Gold are double distilled – producing a smooth spirit – with little burn. Half of our team enjoyed the Silver in cocktails, while the other half preferred the Gold in a sifter. Either way – Cachaça is a coming attraction and there was a larger selection at this tasting. Cabana Cachaça and Sagatiba Pura Cachaça are also double distilled and are each good representations of the product. Moving on, we came upon the world’s only distiller of açaí - VeeV Açaí Spirit. The spirit is actually distilled in Idaho – using water from the Snake River and the Brazilian “super” fruit: Açaí. The fruit is well known in health food stores because it contains 57% more antioxidants than blueberries and has 30 times more heart-healthy anthocyanins than red wine. VeeV Spirits dilutes 90 proof neutral grain spirits with açaí juice, small quantities of prickly pear and acerola cherry juice, and water to arrive at the final 60 proof product. The cherry is the most pronounced ingredient – but the entire spirit is very smooth neat. However, the Reum brothers are counting on it to become an alternative to vodka in cocktails. We think it would be an interesting alternative to rum in a mohito. While tasting the VeeV Açaí Spirit we affably heckled a fellow taster “guzzling” Lucid Absinthe at the adjacent table. Little did we know that this was actually David Jones the CEO of Castries and the creator of Castries Peanut Rum Crème – one of our two overall favorites of the day. This is one liquor that we strongly recommend purchasing immediately. Even after a past visit to St. Lucia we had no idea that peanuts were such a large part of their culture and apparently homemade peanut rum liquor is quite popular. Mr. Jones and his partners became their endeavor in 2002 and for five years they toiled to create the precise formula and physical production. Released last year, the Castries Peanut Rum Crème consists of roasted peanuts, spices, Madagascan vanilla, cream and aged St. Lucian rum. Incredible. And versatile. We stood for minutes listing the alternatives to mix with the cream liquor: espresso, chocolate, grand manier…..or by itself. It is a nicely balanced drink – the peanuts, spices and rum intertwine without hindering the other. Well done. The other liquor we strongly suggest purchasing is also a cream liquor: the Irish made Coole Swan. This time the ingredients are Single Malt Irish Whiskey, Madagascan Vanilla, and Cote D’Ivorie Cocoa, and heavy dairy cream. This product shows with quality inputs and persistence – 231 variations in the formula – affordable and great tasting liquor can be produced. The product is awesome – the vanilla is more prevalent than the chocolate – and like the Castries – the cream and rum balances each other. Named after the WB Yeats poem, The Wild Swans at Coole, we can envision, passing the time with Coole Swan. There were a couple other interesting spirits such as Chartreuse liqueurs and Suntory Yamazaki Single Malt Scotch. The former is a brand of liqueurs produced by French Carthusian Monks that are famous for their digestive qualities. The Chartreuse is made from alcohol mixed with 130 plants – in which only 2 monks actually know the identity of all. The Green Chartreuse is drier than the Yellow Chartreuse but sips from both immediately calmed our stomachs. There are two versions of the Suntory Yamazaki Single Malt Scotch a 12 year and an 18 year variety. The whiskey is made outside of Kyoto – using pure water used in Japanese tea ceremonies. In each case the malted barley is distilled in copper stills where only the middle cut of the second distillation is used to make the whiskey. The spirit is then stored in one of three types of oak barrels: American Bourbon, Spanish Sherry and Japanese. Whiskey from each barrel is blended together – producing a unique flavor. Obviously the 18 year old is more full bodied than the 12 year – but both have a less peaty flavor than standard Scotch. The 18 year old also has more of a cherry flavor whereas the 12 year old has more of a honey flavor. This is the best selling whiskey in Japan – we will see how it fares in the States. And we can not forget to mention the food – perhaps the best we had sampled in similar festivals. There was excellent white pizza from Bayard Catering, beet mixtures, pasta, chocolate – but are absolute favorite was the smoked salmon prepared by Jim Botsacos of Molyvos. Most salmon is too fishy for our tastes – but this dish had little fish flavor – instead it was slightly smoky – and fresh. After a last stop at the Wines of Puerto Rico, our day was done. Where else could one find such a large variety of spirits and liqueurs in one setting? Coming next – the wines. Note: visit Compass Tours to view all pictures. WineCompass.com is pleased to partner with the Foodbuzz Publisher Community, which officially launched this week. This online community offers over 20,000 new food and dining content each week. Members can search for restaurant reviews in their area, or recipes, or even search for blog content submitted by over 1,000 global food bloggers - including WineCompass. If you enjoy a particular article - "buzz" it to the top of the daily submissions. And like every community, members can personalize their content and create a friends directory to share articles and recipes. We will see you online. For anyone traveling to Orlando, or are looking for a reason to, Epcot at Disney has been hosting their annual International Food & Wine Festival since September 26. The event lasts until November 9th and integrates smoothly into Epcot's region theme. Want to try a Canadian wine - try the Chateau des Charmes Riesling or Ice wine. In addition, there's Polish Vodka, Bicardi run smoothies, as well as wines from Greece, South Africa, New Zealand, Austria, France, Italy, Australia, Spain, Argentina, Chile, Lebanon (Chateau Musar) , and even India. Yes wines from India. They were pouring Chenin Blanc and Sauvignon Blanc from Sula Vineyards. The winery is located northeast of Mumbai, Nashik - India’s largest grape-growing region. However noone thought about growing wine grapes there until Rajeev Samant quit his hi-tech Silicon Valley job in 1993 to determine why. He convinced Californian winemaker Kerry Damskey that the climate was similar to winegrowing regions in Spain, California, and Australia. After planting French Sauvignon Blanc and Californian Chenin Blanc in 1997, they released their first wines in 2000. We really liked the Chenin Blanc and will start looking for a local distributor. The United States was represented by New York wineries, in particular, Fulkerson Winery and Merritt Estate Winery. During the short time we spent at the booth several participants were raving about Merritt's Bella Rosa - made from lambrusco grapes - and Fulkerson's Airship White - made from Niagara grapes. There are also several wine and beer seminars. The Samuel Adams Brewery hosts several daily sessions in the America region. Throughout the event there are seminars concerning Bordeaux, Chile, Argentina, Italy, Australia, Sonoma, Mendocina, Napa - even Irish Mead. Plus there are numerous book signings, bottle signings, food paring, and music. Every day a talented artist performs in the America Gardens Theatre ending with Los Lobos November 8th and 9th. However, the best experience for us at Epcot had nothing to do with the wine festival. We were stranded in "Germany" due to a typical heavy Florida downpour. Fortunately there was ample supplies of Spaten Octoberfest beer and Germany Riesling. Unfortunately the beverages were much more expensive than the low cost samples being served in the rain. We also stumbled upon the German Weinbar - which poured samples of several German wine styles including Riesling, Gewurztraminer, Lemberger, and ice wine. Make sure you examine the map showing the German wine growing regions. We were surprised to see Lemberger grown among the Riesling; we had assumed it would grow closer to Austria. Needless to say, we had a great time at Epcot. Where else can you sample this diversity of wines, see Nemo and the Lion King, and race with GM. Fun for the entire family. This week we stayed in the Midwest and opened a bottle of Cynthiana from Holy-Field Vineyard & Winery. Located in eastern Kansas - not far from Kansas City - father and daughter duo, Les & Michelle Meyer, produce about a dozen varieties of wine from indigenous and hybrid grapes. And these grapes are quite unique: St. Vincent, Melody, Aurore as well as Vignoles, Chardonel, Seyval, Foch, Leon Millet, Chambourcin, and Cynthiana (Norton). The Cynthiana has been quite successful for the Meyer's; winning several double gold medals over the years plus the 2004 Jefferson Cup - which honors the best of the best among US wineries from all of America’s wine regions. We tasted the release following the Jefferson Cup winner and quite frankly, were not really impressed. Even though the wine was aged 12-16 months in oak, the wine was still extremely young and acidic. And only a slight grape flavor. We've stored several purchased bottles in our cellar and after three years in the bottle, we retested the wine. What a difference. The wine has transformed into a good, full bodied wine. It is a little less spicy than the Mount Pleasant from last week, but contains the same rich cherry flavor. This spicy characteristic may be a Midwestern trait, because we have not tasted it with Eastern produced Norton wines. And there were just a few traces of the standard grapey Norton flavor. Once again, the wine could easily pass for a viniferia based wine. Now, if we only had an aged bottle of the Jefferson Cup winner; but this is defiantly one proof that Norton\Cynthiana wines need to age a few years in the bottle. This past week we opened another bottle from our Norton collection, a 2003 from Mount Pleasant Winery. We had purchased this wine after it had won the 2005 Missouri Governor's Cup - at a premium of course. Mount Pleasant Winery is one of Missouri's oldest wineries, first established in 1959. It later became a casualty of Prohibition, but was re-opened almost 50 years ago by the Dressel family. And today, the Norton grape is as great a part of the enterprise as it was a century ago. Their 2003 Norton is a dry, full bodied wine and surprisingly spicy - more like a Syrah than a Norton. Initially there was also only a slight grapey flavor and the spicy finish was dominant. However, as the wine was left to breathe, the spiciness subsided in favor of the grape flavor. We discovered this after opening the bottle pairing with a bowl of chili. Initially the spiciness from each offering contradicted each other and we set the glasses to the side. After dinner, we tried the wine again and found that "decanting" mellowed the wine where it was much more complementary to spicy foods. The wine worked in both scenerios; if you would like a Syrah styled wine - drink this Norton immediately. If you are looking for a more traditional Norton - full bodied wine - let the wine decant. This week The Polished Palate announced the results of the 2nd Annual Spirits of Mexico Tasting Competition which was held in San Diego from September 11 & 12. 70 spirits were blind tasted by a panel of judges with a rating system totaling a maximum possible score of 100 points. Only one brand constantly scored over 90 points by each judge: the El Perdido Reserva Extra Anejo, which received the Best of Show award. From the press release: "In a field of 21 Blancos, Best of Category awards were given to (Tie) Tequilas Clase Azul Platino & Don Ramon Platinum. Out of 19 Reposados, Tequila Cristeros took home the Best of Category. Tequila Gran Centenario won Best of Category for the Anejos out of 18 entries. Of 5 Extra Anejos, El Perdido took home the Best of Category Award. Casa 1921 Cream won Best of Category for Flavors & Creams." Tequila Blanco: Clase Azul Plata, Corrido Blanco, Corzo Silver, Don Ramon Platinum, Don Tepo Blanco, El Perdido Blanco, Milagro Silver, Milagro Select Barrel Reserve Silver, Oro Azul Blanco, QV Blanco, Senor Frog’s Plata & Suavemente Blanco. 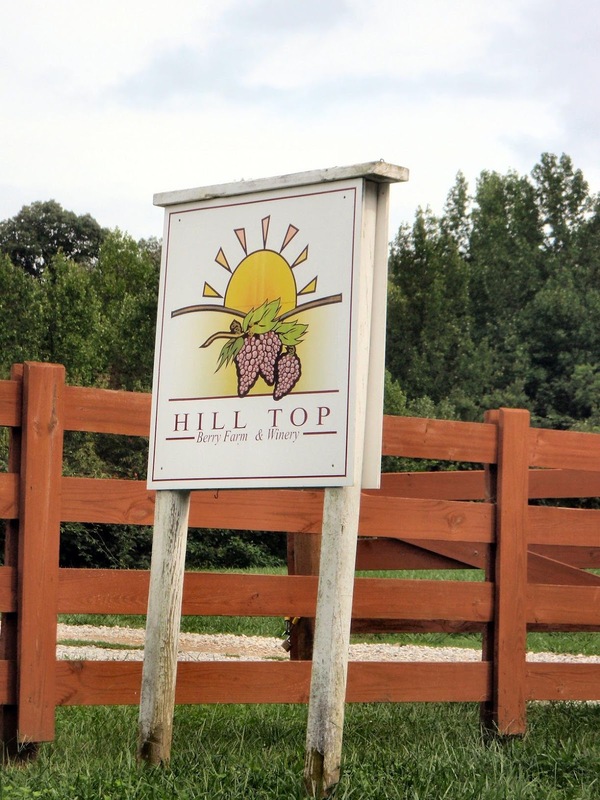 We have a goal of visiting the several Virginia meaderies so we traveled to Nellysford in order to visit Hill Top Berry Farm & Winery - home of dozens of excellent honey and fruit wines. And we mean dozens - and there selection continues to expand as the proprietors craft new and interesting blends. The winery started a decade ago when Marlyn and Sue Allen became one of the first Virginia wineries to produce fruit wines from their local "pick your own" orchard and fields. The family's philosophy should be mandatory reading for all wineries: use your land to grow produce (grapes or fruit) that are best suited for your environment. In addition to the fruit, the family also had an apiary - hence the introduction of mead. As the three Allen sisters took over operations, they had more production hours to experiment with the mead and start producing other styles: cyser, pyment, and melomel. During our we stuck to the mead products, except for one fruit wine: their Three Sisters Elderberry Wine. This fruit is too tempting and is a new release for the winery. Elderberry wines are full bodied and can be made in any style: from dry to sweet. 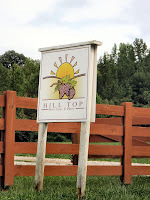 Hill Top's is made off dry with a full fruit flavor - as good as any grape wine. As for the meads, five styles were available for tasting. We started with the Rockfish River Cyser (82% apple and 18% honey) which is made semi-dry. It was good, but the apple flavor overwhelmed the honey and quite frankly we were interested in mead. However, for those more interested in apple wine, this is a great alternative - and quite different from the standard apple offerings. We next tried the Perry and this dessert wine is awesome. First, its probably the first wine with pear as an ingredient that we've tried - then combined with honey - it has the perfect combination of flavors. The Pyment (grape\honey wine) was served next and this concord grape-honey blend is truly unique. The concord provides the grapey aroma while the honey flavors triumph at the finish. This year Hill Top entered several wines into the San Francisco Wine Competition and the later two came home with medals. We finally got around to their Blue Ridge Mountain Mead, which we had previously tasted at several earlier wine festivals. The wine is made semi-dry and has a strong honey flavor and aroma. The mead is usually in short supply because members of the Society for Creative Anachronism use it for their festivals. The final wine made the trip memorable and is one of the reasons we visit less familiar wineries - to find truly original wines and at Hill Top we discovered our first fruit ice wine: Pounding Branch Persimmon Melomel. Melomel is honey wine made with fruit and for this concoction Hill Top picked frozen persimmons from off Wintergreen Mountain. The melomel is advertised as "Southern Ice Wine" - so we were expecting a sweet wine. Of course we were wrong - the wine is as dry as any white vinifera wine. But with a very unique flavor - spicy with hints of honey throughout. The judges in San Francisco were also taken - awarding it a Gold medal. Unfortunately, Hill Top's inventory is extremely low, so hurry over to purchase. But there are other concoctions waiting to take its place on the tasting bar. The Lavender Metheglin (mead made with spices), Blueberry Melomel, and Raspberry Melomel will all be available very soon. Then there's the fruit wine we didn't have time to sample. Blueberry, blackberry, cherry, cranberry, peach, plum, raspberry, par, and cherry - you name it, they probably vinify it. One of the pleasures of touring wineries is that suburbanites can escape their surroundings and enjoy a trip to the country. Most wineries, at least those in mid-Atlantic, are situated among family farms, where livestock graze peacefully in the pasture. In most instances it is a scene from Old McDonald's Farm; but sadly, this scenario is actually the exception and not the rule. Instead there is a hidden world of factory farming consisting of gestation crates and battery cages - where the animals are confined their entire life - unable to move or even roll over. The practices are more than inhumane and only exist because the majority of people have no idea of their use. The Humane Society of America is trying to raise awareness of this scandal and their chapter in California helped to initiate Proposition 2: The Prevention of Farm Animal Cruelty Act. This act will ban such practices in California and force these factory farms to treat animals humanely and with respect. Predictably, corporate entities nationwide are fighting this proposition with tremendous financial muscle. WineCompass normally tries to stay out of political arguments unless it involves the government trying to over regulate wine and spirits, but this issue is too important to sit on the sideline. We encourage all readers to visit the Humane Society of America and Californians for Humane Farms to learn more about this issue. You can also contribute financially at My.YESonProp2.com. The Old Dominion Brewing Company announced late last month that they were closing their popular brewpub. See their statement here. The brewpub was one of our favorite places to hangout for lunch, after a ride on the Old Dominion bike trail, or during Redskin's games (Redskin Park is practically across the street). Many regulars were concerned when Coastal Brewing (a partnership between Fordham Brewing Company and Anheuser-Busch) purchased the brewery last year that the new owners would start changing formulas or product lines. No one expected the worse - that the brewpub would actually disappear. According to the Washington Post, Coastal Brewing closed the pub because "But the pub wasn't drawing enough business to justify the cost of running it, said Casey Hollingsworth, vice president of sales and marketing at Coastal Brewing". Apparently their popular Dominion Ale, Dominion Lager, and Oak Barrel Stout will still be available at local grocery and beer stores, but no more stopping after work or on weekends to refill the growler. What a shame.